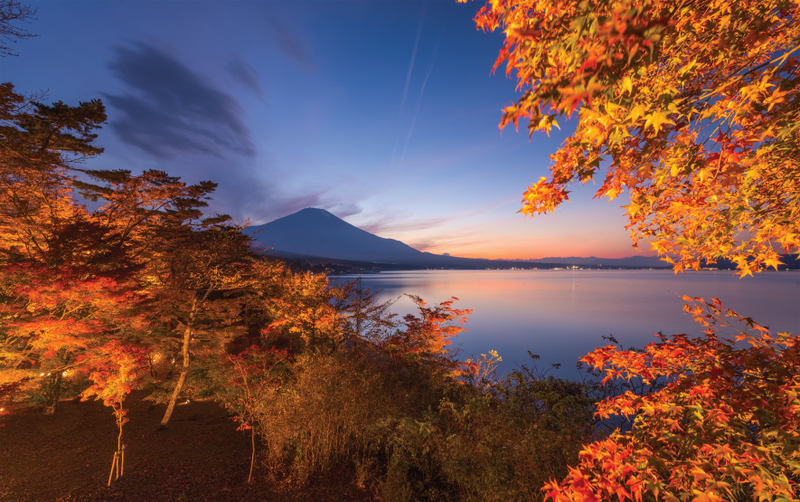 Autumn spreads its fiery colours through the sky, but only in Japan can you view nature's magnificence in the presence of ancient temples and shrines, historic forest pathways, futuristic architecture and the imposing Mt. Fuji. Don't miss the season and the visual delights that it offers, in this beautiful country!